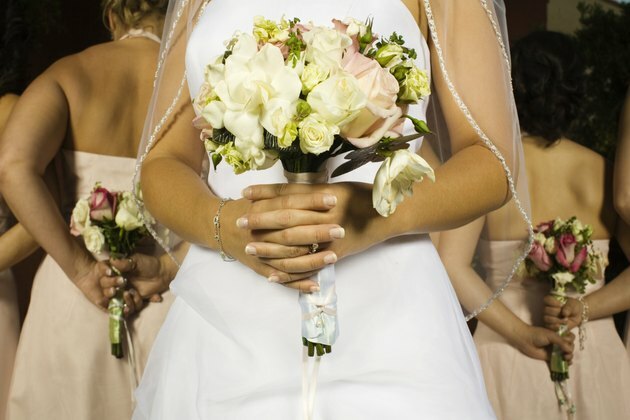 Your wedding bouquet is a precious memento of your special day. So keep it looking beautiful with one of several preservation methods. 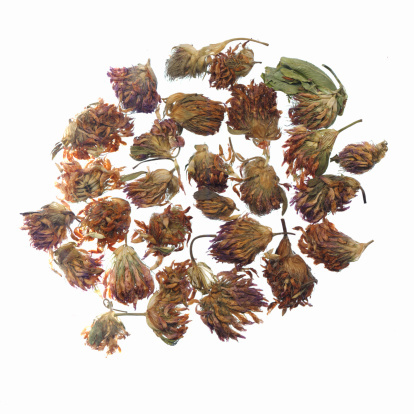 Flowers can be air-dried, treated with drying agents, dried in a microwave oven or pressed to preserve them. Have your drying materials ready on your wedding day because the fresher the flowers are when you dry them, the better they will look later. Bride holding a wedding boquet. Air drying is the least expensive method of preserving flowers. If the blossoms in your bridal bouquet are of equal size, hang the bouquet in a warm, dark, dry place, such as an attic or spare closet, where it will not be disturbed. If some of the flowers are larger than others or not all petals are the same thickness, then take the bouquet apart and hang the large flowers or flowers with thick petals separately from the rest to allow for better air flow. Flowers may need a few weeks to air-dry completely. Drying agents, which are called desiccants, pull moisture out of flowers and other plant parts. The most common desiccants are borax, sand and silica gel. Borax can irritate the eyes, nose and lungs when used incorrectly. Sand is safe to use, and silica gel, although more costly than the other options, is simple to use and retains flower color well. Cover the bottom of a cardboard box or plastic container with your chosen desiccant, and place the bouquet on top of it. Gently sprinkle more of the desiccant over the flower petals, being careful not to crush them. After one week to 10 days, gently shake the desiccant out of the bouquet. A desiccant can be reused many times. A microwave oven can be used to dry flowers quickly and effectively. Remove all metal in the bouquet. Spread a 1-inch-thick layer of silica gel in the bottom of a microwave-safe dish, place the bouquet on that silica gel and sprinkle more silica gel gently over the flower petals, covering the flowers completely. Place 1 cup of water in the microwave oven with the container of flowers. Experimenting before your wedding with the same kinds of flowers as those in your wedding bouquet will help you determine how long to dry them to ensure that you will not burn your bouquet. Some kinds of flowers may need 1 1/2 minute of drying time while others may require 2 1/2 to 3 minutes drying time in a microwave oven set to full power; the standing time afterward may range from overnight to 36 hours. The dish you used to dry flowers in silica gel should be washed thoroughly before it is used for food. If maintaining the three-dimensional shape of the flowers in your bouquet is not important to you, then the flowers can be dried and pressed with a flower press or large, heavy books to preserve them. Take the bouquet apart, and remove the stems from the flowers. Place the blossoms on layers of absorbent paper, such as newsprint or the pages of a phone book, leaving sufficient space between blooms so that they will not touch when the flowers are flattened. It takes two to four weeks to dry flowers with this method, but when finished, they can be used in many ways, including to create a decorative frame for wedding photos. Maggie Fry began her writing career in 1986. She has written for publications including "Seattle Weekly" and the Rodale Institute's New Farm online magazine. Fry earned a certificate in permaculture design from Slippery Rock University of Pennsylvania in 1997. She earned a Master of Fine Arts in creative nonfiction from Goucher College in 2013. How Long Do Preserved Flowers Last?